20" diameter x 9" deep holds 14 side plants, fourteen top edging plants and three 6" or one gallon size centerpieces. I have had the pleasure of using the side planting baskets for about 5 years. They add an attractive display every year. 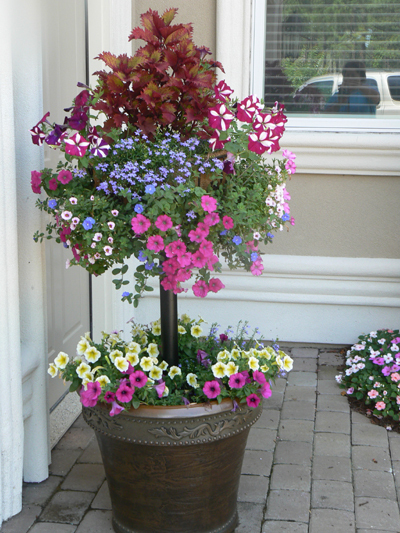 The side planting basket allows for a more abundant growth than the regular hanging basket. I will get more.